If you're an architect, surveyor, or part of an engineering team... AutoCAD is essential for your profession, but its price, even its LT version, doesn't fit your budget. 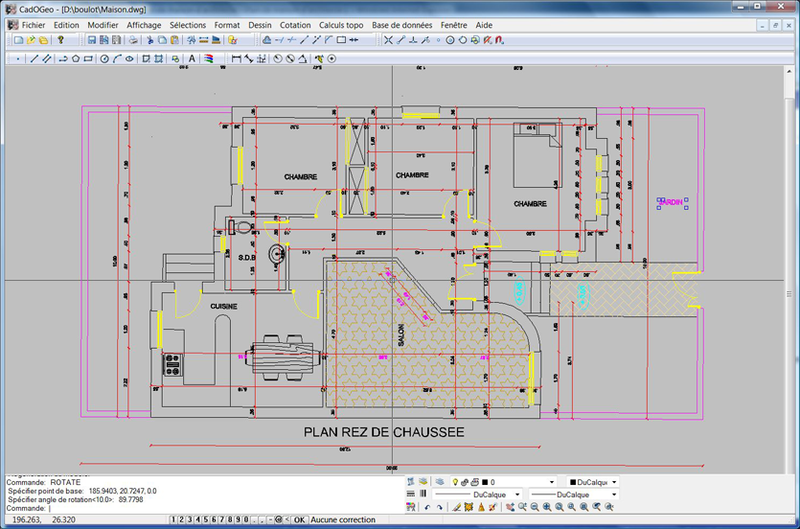 CadOGeo is a complete 2D software solution, for creating and modify Autocad plans in two dimensions. CadOGeo is free, Windows ® compatible, and can be used by both; experts and novices, teachers and students. CadOGeo can read and write DWG files, the native Autocad file format, used by Autodesk and other CADD/CADAM systems world wide. CadOGeo is based on libraries developed by the Open Design Alliance consortium, Teigha . This allows it to open your old DWG or DXF files but also the files in DWG2009 or DXF2009 format for the LT version, the DWG/DXF 2018 format and SHP for the PLUS version. CadOGeo can manage the following graphical objects; Points, Lines, Polylines, Circles, Arcs, Ellipses, Rectangles, Text, Inserting Blocks, Raster Images (various formats GIF, JPEG, TIFF, PCX, WMF, EMF, ICO, PGN , JBG, J2K, MNG and finally ECW), dimensions. All these objects are managed in a coordinate system XYZ. Gives easy access to all object properties and objects can be edited by moving their control points (grips). Various snap modes (including polar) allows you to easily draw/edit objects. Editing operations include the all common Autocad edit controls, like Copy, Move, Rotate, Scale, Mirror, Explode, Erase, Join, Coupling, Trim, Extend. The application supports Windows TTF fonts and AutoCAD® SHP/SHX fonts, AutoCAD® hatch patterns (PAT) and linetypes (LIN) . You can Copy-Paste the clipboard of drawing entities for enabling easily data exchange between multiple open files. UNDO up to 100 levels. Various options including zoom using the mouse wheel. 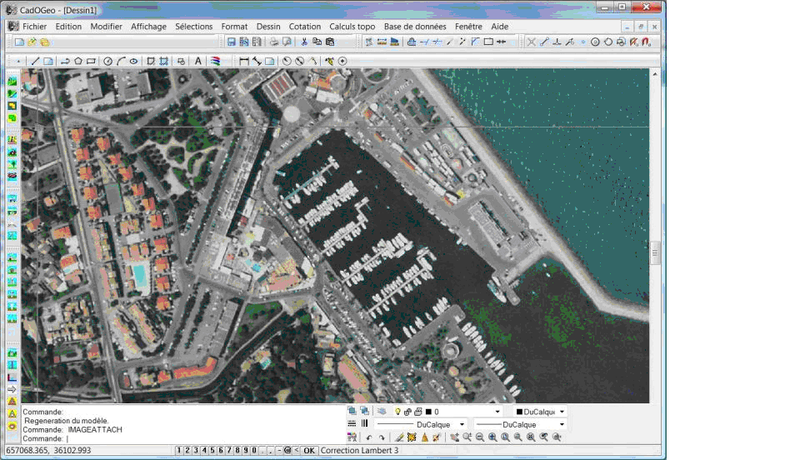 Numerous add-ons will be available, connection with databases and topographic calculations.See page CadOGeo+. CadOGeo is freeware but is not Open Source. The software contains copywrite protected code and you may not decompile or analyze the software in any form whatsoever. CadOGeo needs a request for activation within the first 30 days of use. Activation is free and should be requested using the Contact page of this web site, just send us your registration key displayed by the version of CadOGeo you have installed. You are not authorized to modify, adapt, translate, incorporate into another program or create derivative software. Bonus a library of +3000 blocks. You can pay by credit card, PayPal account, bank transfer (contact us). Click the button below for secure online payment. Make sure you enter a valid address Mel on the checkout page to receive the download link of the software and the activation code. Make sure you provide a valid mailing address, to properly edit your invoice. It will be sent by email in PDF format. 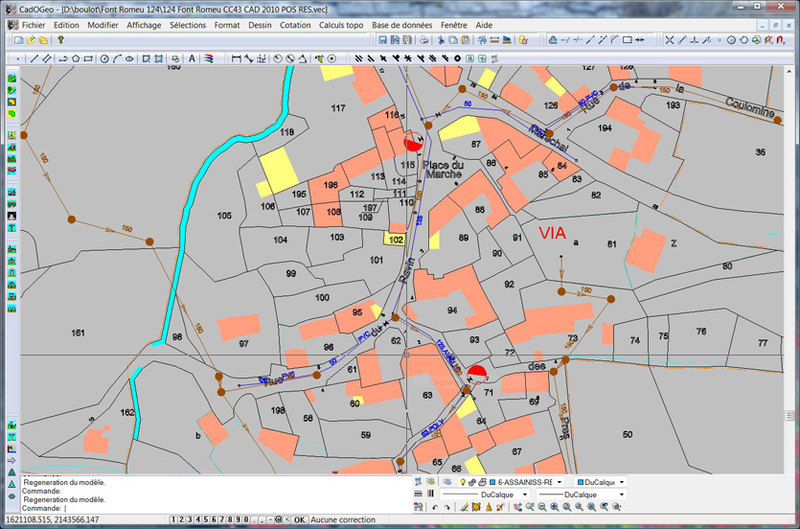 08-2011 : Implementation of a GIS for a town with over 100000 inhabitants! 02-2011 : Open Design Alliance. What is it ?